Although its still sweltering hot down here in south Florida, I know that elsewhere in the country temperatures are starting to cool….And I can tell this without checking the weather. How do you ask? Pumpkin flavored everything is starting to appear everywhere. From coffee to cookies and donuts I am seeing ads for all sorts of pumpkin treats. While it is ok to indulge in these treats once in awhile, they can be laden with a lot of fat, sugar, calories and not even real pumpkin. Instead of just buying things with pumpkin flavor, try and add some real pumpkin into your weekly routine so you can actually get some health benefits. Pumpkins are fat, cholesterol and sodium free,a good source of vitamin C (good for your immune system and heart) and an excellent source of vitamin A (good for eye health, your immune system and cell growth, such as skin repair). Studies have shown that people who consume higher amounts of vitamin A from fruits and vegetables have lower risks of certain types of cancers. However, when taken as a supplement the results are more mixed, so don’t think you can just take a vitamin for the same benefits. If you don’t want to bother cutting up a fresh pumpkin, canned pumpkin can be just as nutritious. Just make sure you buy the kind with only 1 ingredient, pumpkin. 1 cup of pure canned pumpkin contains about 83 calories, 2.7g of protein, <1g of fat, 19.8g of carbohydrates, 7.1g of dietary fiber and 38,129 IU of vitamin A which is 762% of the daily value. Instead of heavy cream, you can use canned pumpkin in dishes such as soup or pasta sauces to help thicken. You can also use canned pumpkin as a substitute for oil or butter in baked goods. 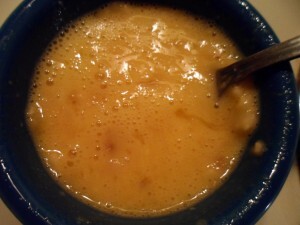 Instead of a cup of butter, use 3/4 cups pumpkin puree. Pumpkin Fettucini Alfredo – Use whole grain pasta to help increase the fiber content. White Bean Pumpkin Hummus – A great healthy appetizer dish for a fall party. Pumpkin Soup – Super easy recipe for cool autumn nights. Festive Roast Pumpkin Salad – Who would think to add pumpkin to a salad? Healthy Pumpkin Spice Waffles – A great way to start your day! 60 Calorie Crustless Pumpkin Pies – Of course you can’t forget the pumpkin dessert! 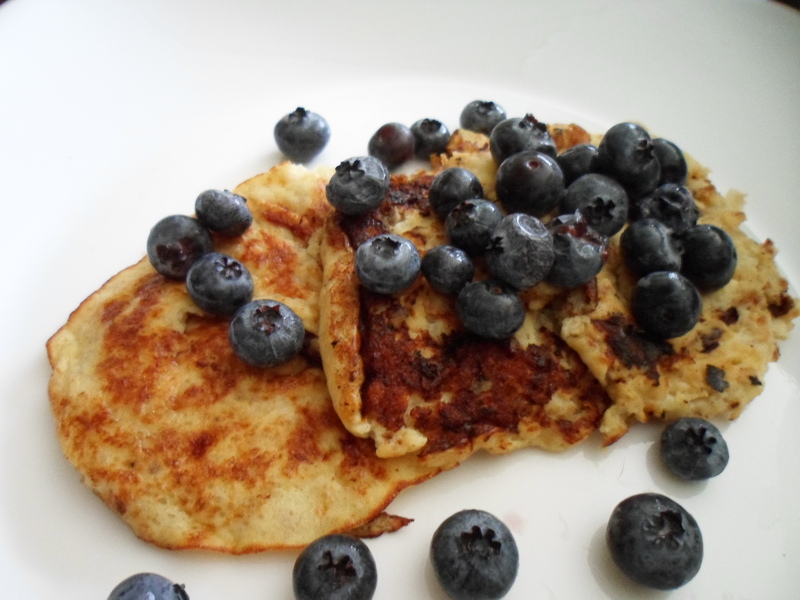 Check me out on pinterest @DelishnNutrish for more great and healthy recipes. Some of the best things in life are simple and this is one of those things. I make this recipe all the time. 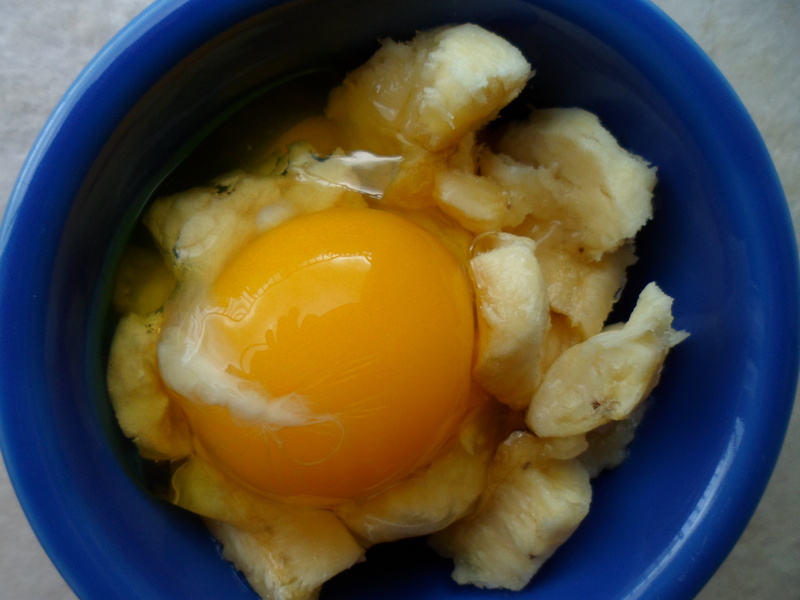 Sometimes for breakfast or sometimes for a snack… it consists of mashing up a banana and an egg in a ramekin and cooking it for about 1 minute in the microwave. That is pretty much it. 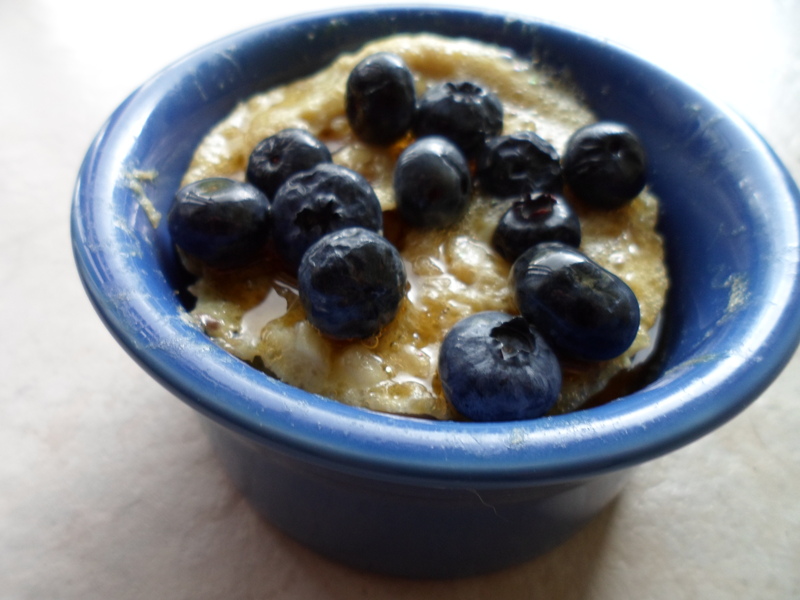 The reason I like this recipe so much is because it is very easy, takes little time and the only dishes I have to wash when I am done is the ramekin and two forks. Oh and also it tastes delicious. Bananas are a good source of potassium (great for your heart and blood pressure), contain dietary fiber (more goodness for your heart) and also contain vitamin B-6 (good for your immune system, important for nerve functioning). Eggs are a little more controversial. In the past they have gotten a bad reputation due to their high amounts of cholesterol. However, we now know that eating dietary cholesterol does not effect cholesterol levels in the blood as much as we thought it did. Saturated fat and trans fats have much more of an impact on blood cholesterol levels. That being said, eggs are a good source of protein (important for cell growth, immunity, and feeling full), it also contains vitamin D (helps your body absorb calcium, and also works in your immune, nervous and muscle systems) and vitamin B-12 (prevents a specific kind of anemia, important for proper nerve functioning). Peel and break apart banana into small pieces and place in ramekin. Add egg. 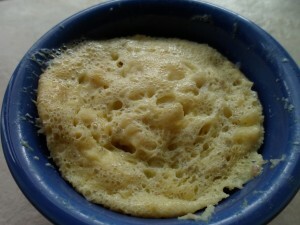 Mash together with a fork until batter is fairly consistent. Small chunks are ok but try and mash up all large chunks. The more ripe the banana the easier it is. Discard fork (it is contaminated with raw egg so please do not use to eat off of until washed). Place ramekin in microwave and cook on high for 1 minute or until egg mixture is solid and has an internal temperature of 160 degrees. I did use a food thermometer and mine was at 160 degrees after 1 minute. Top with berries and maple syrup if desired. And that is it! Also if you want to cook the banana and egg batter like pancakes that works too…although you have to be careful because they do rip easily when trying to flip them so don’t make them too big.